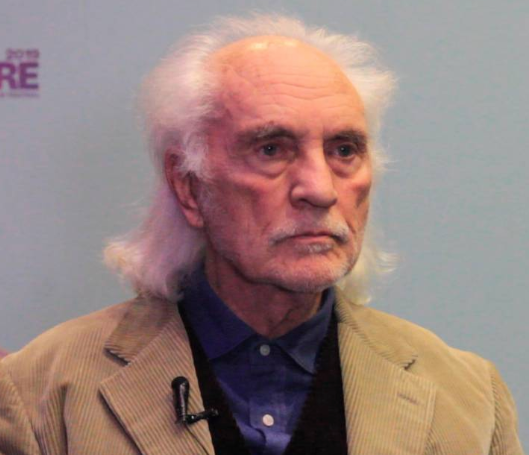 Renowned for dating some of the world’s most beautiful women, British 1960s film icon, Terence Stamp, said he was as surprised as anyone to become a gay icon, after playing a transsexual woman in the film, The Adventures of Priscilla, Queen of the Desert. The Oscar-nominated actor, who held the title of the world’s best-looking man in the 1960s, said that to be approached by “gay guys on the street … saying how much they liked ‘Priscilla’ brings a light into my life”. “I can’t think of anything that’s more attractive than light”, Stamp told the Thomson Reuters Foundation before a screening of the movie at the BFI Flare: London LGBTQ+ Film Festival. Directed by Sydney-born, Stephan Elliott, Priscilla traces the adventures of two drag-queens and a transsexual woman, as they cross the Australian outback performing for enthusiastic crowds, while also facing homophobic locals. The 1994 film was a global smash, garnering Golden Globe and BAFTA best-actor nominations for Stamp, and winning an Oscar for best costume design. Stamp said he was initially wary of signing up for the film, not because of its content, but due to a bruising encounter with Australian paparazzi, when he previously visited the country with his then-girlfriend, model, Jean Shrimpton. “I just didn’t believe I was up there in fishnets and high heels actually doing it”, said 80-year-old Stamp, now with a shock of white hair, at the British Film Institute in London. Playing a transsexual woman set his role apart from the two other leading parts, played by Hugo Weaving and Guy Pearce, said the actor, who has worked with directors ranging from Federico Fellini to Steven Soderbergh. “I was essentially different from Hugo and Guy; they were playing dressing up queens and I wasn’t. (My role) was more about what I felt emotionally”, Stamp said. “I had to think about what it would be like to be born into the wrong body and born into a body that wasn’t the same as one’s emotions”. “It’s one of my strengths as performer. I’ve got a kind of more developed feminine side so it was a chance to knowingly explore that”, Stamp said. Nominated for a best supporting actor Oscar for the 1962 Peter Ustinov-directed, Billy Budd, Stamp has not steered away from touching upon issues of sexuality over the course of his almost 60-year film career. In 1968, he played a character in Italian director, Pier Paolo Pasolini’s ‘Theorem’, who seduces every member of an upper-middle-class Milanese family, including the maid. Divorced from Australian Elizabeth O’Rourke in 2008, Stamp is currently working on a project with rising Hollywood star, Briton, Edgar Wright, director of 2017 action film, Baby Driver. Looking back over a career that encompasses disparate films from Hollywood mega-hit, Superman, to the Soderbergh-directed, The Limey, Stamp said he remained most proud of Billy Budd. “(Partly because) it was the first, but also to be cast by somebody like Ustinov was something that gave me a great deal of self-confidence in my film career”, Stamp said. “During the shooting, I just thought, ‘Wow! This is it’ “.